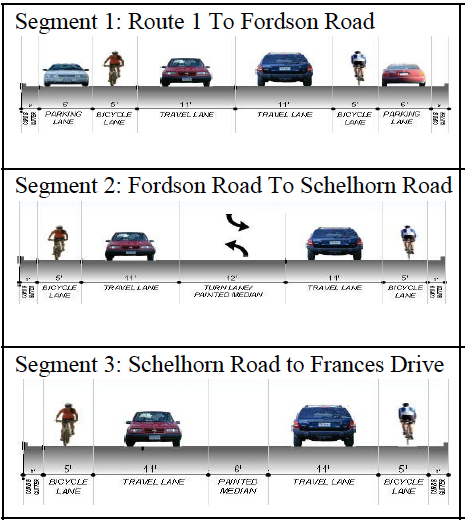 Below are proposed cross sections for 6 segments of the Sherwood Hall Lane repaving project that was the subject of a meeting on Wed., March 12. The major concern expressed at the community meeting was removal of parking. 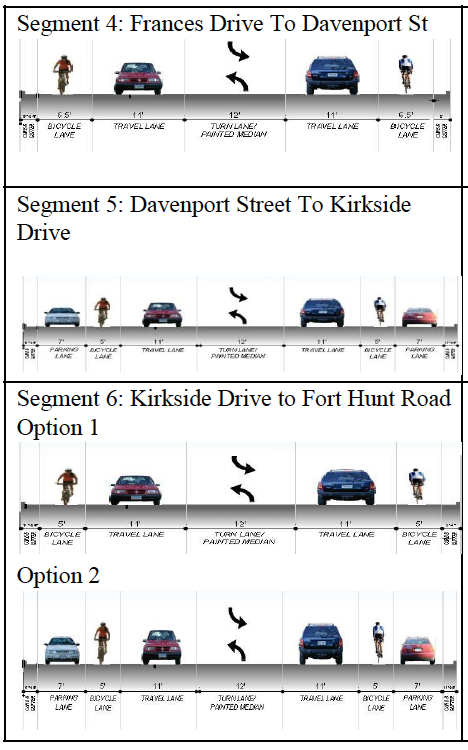 As you can see below, some of the proposed profiles, do not include parking. Even though very few motorists park on the road, residents want the option of parking for guests and overflow from their driveways. Please contact the Mt. Vernon District office, Senator Toddy Puller, and Delegate Scott Surovell and voice your support for bike lanes and traffic calming on Sherwood Hall Lane.